The All Ireland Kayak Angling Club fishing on the sea, rivers and lakes of Ireland | Kayak Angling in Ireland from sit-on-top kayaks, join the forum and fish with us. Kayak Angling in Ireland from sit-on-top kayaks, join the forum and fish with us. Welcome to Irish Kayak Angling, we are Irelands, free, on-line Kayak Angling club. 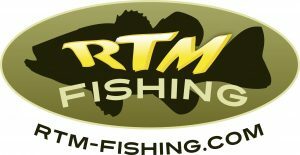 Register on the forum and start fishing to be in with a chance of winning an RTM Tempo kayak, a Bixpy Jet, PFD, Paddle, Vouchers, Tackle and more. Let’s face it, not all of us can afford, tow, or store, a boat. Even if you can you’re unlikely to be in a position to bring it on holidays with you! A kayak gives you the freedom to explore new venues and the coastline in a way you never could in a boat. Your experience of the outdoors is totally different when you are sitting almost in the water. Our members have landed in excess of 80 species, both freshwater and sea, with only the Blue Shark requiring hitching a ride on a boat. Have a look here. Who is Irish Kayak Angling? Established in 2010 this is a volunteer run Club and is open to all to enjoy. Membership is free and we welcome both the experienced and new comers to the sport of Kayak fishing. The forum is the club room and meeting place. We use sit on top kayaks. If it all goes wrong you fall off, you can never get trapped inside. You don’t need to learn to roll and you won’t be dealing with a hull full of water when you get the kayak upright again. Kayaks supplied by our Club Sponsors are here, register on our forum and ask about others experiences with different makes/models and how the kayaks are rigged. Register on our forum. Many of Irelands top kayak anglers are members and all are willing to share their experiences. We run a number of fun competitions including Fish of the Month and Catch Report of the Month with great prizes from our Sponsors . The forum, particularly the Catch Reports section, is a great place to learn. Come along to one of our Fishing Meets to meet members and get advice. The forum covers (amongst others) Kayak Safety, Rigging and Tackle, Venues and Launch Sites, Catch Reports, Buy & Sell and Reviews. Introduce yourself, feel free to ask questions, leave comments and get involved.